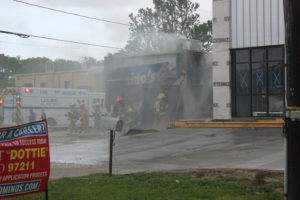 Domino’s Pizza in Boutte was destroyed by fire around noon today (March 28). 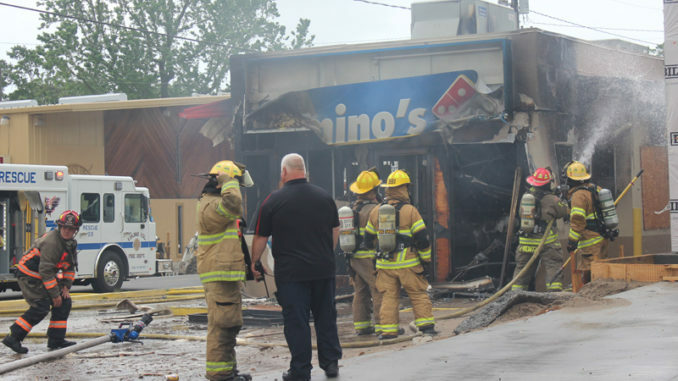 Firefighters fought an intense blaze that consumed the building, which stood adjacent the new Domino’s Pizza building under construction. Luling and Paradis volunteer fire departments extinguished the fire by 1 p.m.
No one appears to have been injured in the blaze.